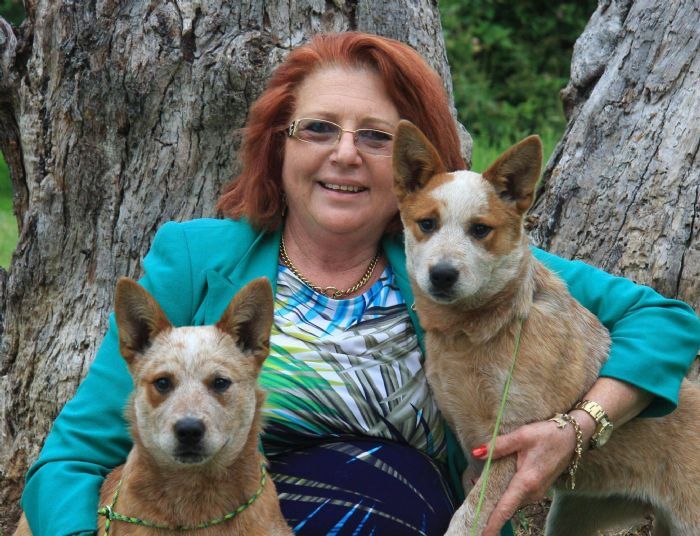 "Home of the Super Dogs" Kombinalong Australian Cattle Dogs has bred and exhibited more than 80 plus champions to date and exported to 14 countries worldwide. Established 1979. Home of Multi Best in Show winners both All breeds and Specialty. Multi Royal BOB winners. Exported to over 15 countries worldwide with over 50 champions both in Australia and overseas. Breeding both BLUE and RED and only from fully tested stock. All pups guaranteed PRA unaffected. All breeding stock and pups BAER (hearing) tested. All breeding stock hip and elbow scored. Licenced breed specialist judge and ANKC/FCI All Breeds judge. Author of two books on the ACD and working on the third book which will be released in 2020.